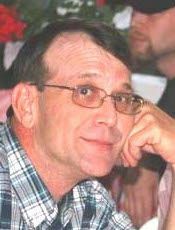 Timothy "Tim" Darrell Hamrick, 64, of 1439 Rhodes Road in Eden, passed away Monday afternoon, September 3, 2018, at UNC-Rockingham Health Care in Eden. A funeral service will be held at 11 AM on Thursday, September 6, at Fair Funeral Home Chapel with burial to follow in Ridgeview Memorial Gardens. The family will receive friends Wednesday evening, 6 - 8 PM, at Fair Funeral Home and other times at the residence. Tim was born October 3, 1953 in Rockingham County, NC. He was a former fireman for the City of Eden. He is survived by his wife, Marcia Brown Hamrick, of the home; son, Tim Hamrick, Jr. of Greensboro; daughters, Kim H. Woodall and husband, Josh of Eden and Julie Hamrick and fiance', Eric Greer of Reidsville; three grandchildren, Jordan Woodall, Parker Woodall, and Norah Kate Woodall of Eden; his mother, "Jac" Carter Hamrick of Eden; and brother, Jim Hamrick and wife, Wanda of Eden. He was preceded in death by his father, Pinkney "Wimp" Wellington Hamrick. Memorial contributions may be made to The Heart Foundation, 31822 Village Center Road, Suite 208, Westlake Village, CA 91361. Marcia, I am truly sorry for your loss of Tim. I know what you are going through. I lost my husband in 2016. I am praying for you and your family. May God give you the comfort and strength to get through the coming days, weeks and months to come. God Bless each one of you. My Deepest Sympathies for all the Hamrick Family. God Bless You. I was very sorry to hear of Tims' easing. I was sorry to hear about Tim's passing. Prayers for all the family members. My condolences to Marcia and the family. Tim was always the same, friendly and nice guy, that everyone liked. Thank him for his services to the community as a fireman. May God be with the family in the coming days, providing peace, comfort during this time. So sorry to hear of Tims' passing. Prayers to You and the Family. The family is in my prayers and will be in my thoughts during this difficult time ahead. God bless you and be with you all. Marcia and Family, praying for you during this difficult time in your lives. May God give you the peace, comfort, strength, and direction in the days to come. Never let go of those precious memories.